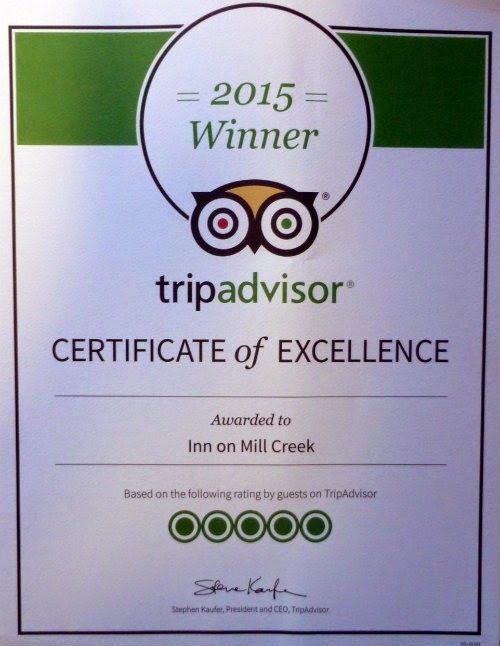 We were so excited and humbled this week, after receiving the TripAdvisor 2015 Certificate of Excellence. This award is given to lodging properties, restaurants, etc., who consistently earn great reviews from travelers. Can’t remember the last time getting mail made us giddy. Thanks to our super guests who have shared their experiences at the Inn on Mill Creek B&B. We look forward to hosting you again. 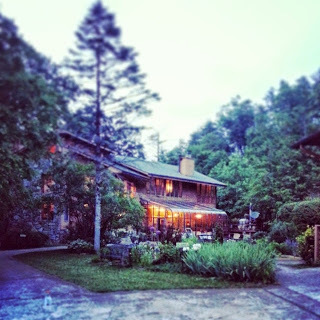 This entry was posted in From Your Innkeepers and tagged guests, innkeepers and innpugs by Inn on Mill Creek. Bookmark the permalink.